The 7,000 community businesses in England don’t just keep high streets alive, they keep them diverse. Power to Change’s Chief Executive, Vidhya Alakeson, has been invited to join the National High Street and Town Centres Expert Panel. The group will provide workable ideas to support the long-term transformation of high streets and town centres. In this blog post, Vidhya explains why the Great British High Street is so important, and the role community businesses can play in reversing its fortunes. Boarded up pubs. Shut down shops. Closed cafes. In high streets up and down the country, the picture is depressingly similar. Independent businesses are struggling, and the huge chains that once offered security to our high streets are vanishing. Shops dependent on footfall were always going to struggle in the face of an exploding online market, austerity, and changing consumer demands. But consumers need high streets. People need high streets. They are so much more than a detail of our national economy. This is something that community businesses up and down the country already know, because they’ve been turning around the fortunes of high streets for years. From bakeries to cafes, gardens to community centres, the 7,000 community businesses in England don’t just keep high streets alive, they keep them diverse. They know their neighbourhoods and offer more than the homogenised, one size fits all approach that is failing many high street chains. 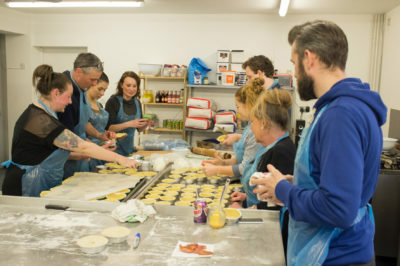 In Liverpool, Homebaked not only creates local jobs and serves tasty pies – its very existence saved the street it sits on from being demolished. 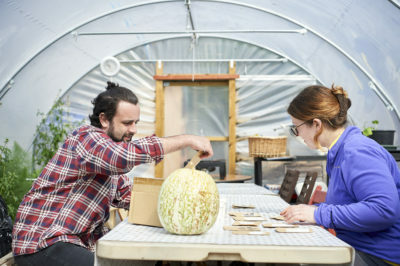 On the other side of the city, Squash Nutrition provides a café, meeting space, community garden and cooking lessons on a street otherwise devoid of shops and meeting spaces. Once a Victorian library left to dry rot by the local council, The Carlile Institute in Meltham, West Yorkshire is now a thriving business centre with spaces available for community groups. In the south, the award-winning Stoneham Bakehouse in Hove offers sourdough therapy to children, retirees and jobseekers. The value of community businesses reaches far beyond local economics. Their work reduces isolation, improves social cohesion, and provides invaluable employment experience and training. This takes the pressure off overstretched local authorities. So it would be wonderful to see local authorities do more to help community businesses get off the ground. Cash-strapped councils need their communities to thrive. And while business rate cuts would be welcomed by many, they are far from the only way to help. Access to assets, such as buildings of community value which councils can no longer maintain; cheap finance, and even advocacy and support on legal processes could go a long way to helping community businesses to thrive. For all of these reasons, I am delighted to represent community businesses on this expert panel to explore the issues around the Great British High Street, understand what the public want and need, and to create an action plan to help our high streets thrive again.